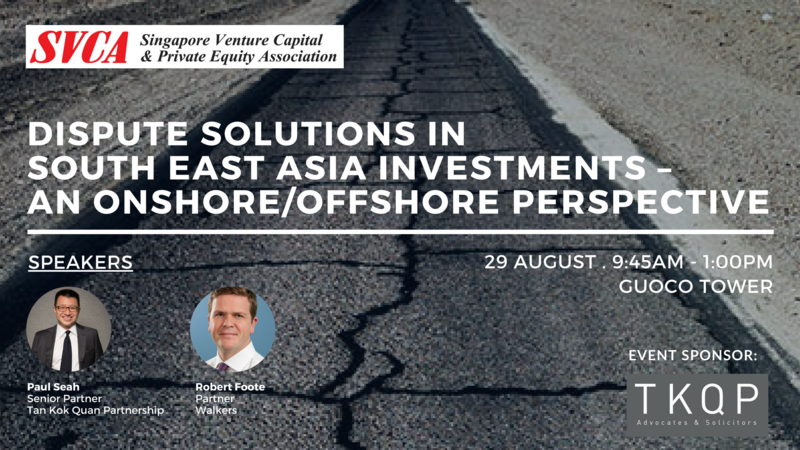 Let us bring you through an overview on the use of offshore/onshore investment vehicles in South East Asia in a private equity context. Consider potential options available to you when things go wrong, including the possibility of obtaining urgent injunctive relief, access to documents and information, the appointment of provisional liquidators, the appointment of liquidators, the appointment of receivers and shareholder remedies and strategies. Find out more! Paul has a speciality in insolvency and restructuring work, and has advised Singapore’s leading accounting firms and financial institutions in numerous well-publicised insolvencies. He is also a seasoned litigator, having acted as lead counsel in some of Singapore’s most important and high-profile cases in recent years. Paul’s work has garnered plaudits from independent legal directories and clients. In 2017, Paul garnered the Asialaw Asia-Pacific Dispute Resolution Awards’ Disputes Star of the Year award. He was also recognised by the Asian Legal Business as one of “40 Under 40 – Asia’s Brightest Young Legal Minds” in 2015. In 2014, Singapore Business Review ranked him as one of Singapore’s “20 Most Influential Lawyers 40 and Under”. 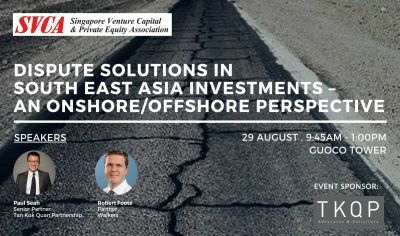 In addition, Paul is ranked as a Recommended Lawyer for Restructuring and Insolvency, and Dispute Resolution by The Legal 500 Asia Pacific. He is also ranked as a Leading Lawyer for Restructuring and Insolvency, and Dispute Resolution and Litigation by Asialaw Profiles. Robert joined Walkers in 2013 and is a partner in the firm's Global Insolvency & Dispute Resolution Group. He specialises in contentious corporate, commercial and trusts disputes and contentious and non-contentious insolvency and restructuring matters, including shareholder disputes and applications for urgent injunctive relief. Robert advises insolvency practitioners, law firms, directors, companies, creditors, debtors, shareholders, beneficiaries and trustees on all issues arising out of formal insolvency procedures, restructurings and commercial, corporate, trusts and insolvency disputes. He is also a registered lawyer by the Singapore International Commercial Court. He previously worked for Freshfields Bruckhaus Deringer in London before being called to the Bar of England and Wales in 1999. Having completed pupillage, Robert then worked for another international law firm in London before relocating to and being called to the bar in the British Virgin Islands in 2007. Recognised as one of the leading offshore lawyers in his field, in both the International Who's Who of Asset Recovery Lawyers and the International Who's Who of Insolvency and Restructuring Lawyers since 2013, Robert has written and contributed to numerous articles on British Virgin Islands' law and is the co-author of the British Virgin Islands' chapter of International Asset Tracing in Insolvency.